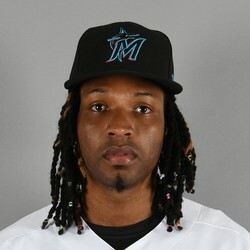 Marlins starter Jose Urena allowed just one earned run on seven hits and no walks while striking out seven over seven innings in a no-decision against the Philadelphia Phillies on Sunday. Urena entered Sunday with a 9.22 ERA but managed to pitch well and work his way around seven baserunners. His fantasy value may be somewhat limited in 2019, but he is at least trending in the right direction after Sunday.